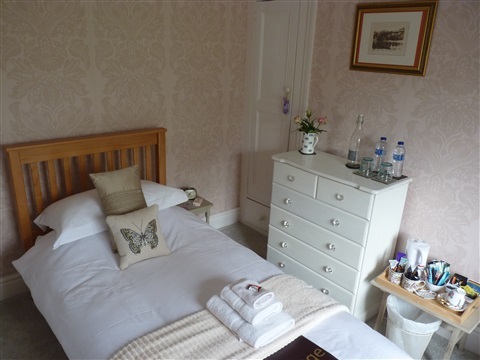 With lovely views over to Cusop Hill, our twin room with two single beds, is warm and comfortable, lovingly and tastefully decorated, with plenty of storage space. Tea and coffee making facilities are available together with bottled drinking water, a hairdryer for guests use and complimentary toiletries. 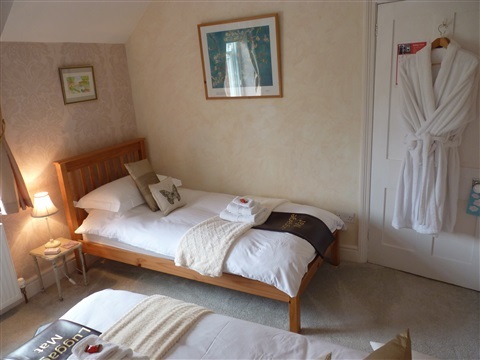 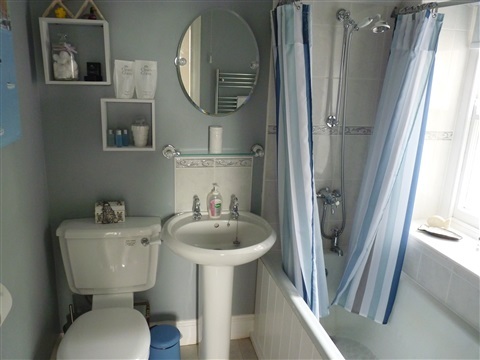 Bathrobes provide luxury and comfort when using the private adjoining bathroom, featuring bath with shower facilities, hand basin and W.C.
Superfast Wi-Fi is available throughout the house. The price of the Twin Room is £80.00 per night for two people, which includes full breakfast. 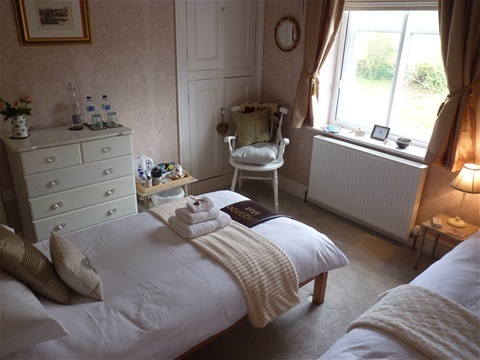 The single occupancy rate is £50.00 per night. There is a £5 supplement for single night stays.